"Try out your cooking creativity by playing Crazy Cooking!" 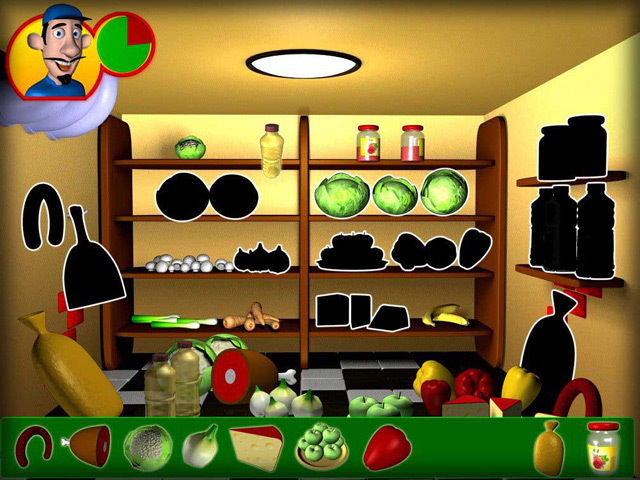 Try out your cooking and restaurant management skills in Crazy Cooking, a game where you start out at the bottom and work your way to the top by proving you have what it takes to please restaurant customers with the food the restaurant cooks for them. You have to learn fast to deliver what it takes to the customers fast, and with quality and prove to the chef that you are qualified for higher positions in the restaurant business. Please the visitors to the restaurant with divine cooking with recipes you can make up on the go. 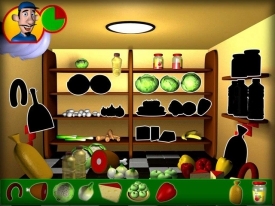 Start out from the bottom and work your way up as you go from washing dishes to management in this very colorful cooking game designed to flex your imagination and allow you to make recipes that you think the visitors will find pleasing to the taste buds. You are presented with not just one task to do. This is a multi-task business, and you must do all that you can to succeed. Peel vegetables, wash fruits, clean your working place, while also doing other random tasks that may come up. You must do your main tasks within the given time limit otherwise you are fired. If you prove that you are able to work in the fast atmosphere of the restaurant, you will quickly be promoted. This game is by no means a simulation, but a fun game that challenges you to learn fast and complete tasks on time in a restaurant environment. As you get the hang of it, it's fun to see how fast you can work your way to the top to eventually beat the game.